Four 5oz hot sauces in an attractive gift box. 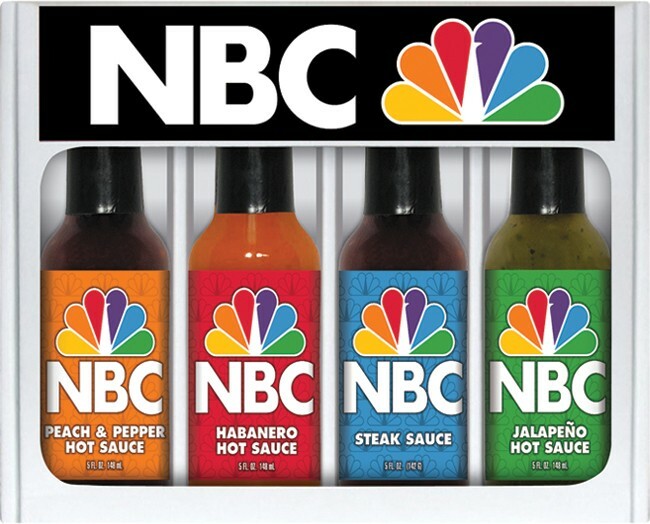 Choose from these hot sauces: Habanero, Cayenne, Garlic, Jalapeno. Optional flavors available: Chipotle, Cajun, Lime, Peach, Datil, Buffalo Wing, Steak. Gift box colors: kraft, black or white. Label imprints included: box front and all bottles. Two Pepper or Three Pepper Pack available. Case of 8 weighs 25 lbs.